Nancy Brodsky works with individuals, organizations and communities to access personal and collective wisdom and leadership in the service of business and organizational results and personal integrity and excellence. She has over twenty years experience in consulting, coaching, facilitation, and training/learning services and has a broad and deep set of skills and experience in: working with senior leadership teams and Boards; providing executive and leadership coaching; chartering, facilitating, and coaching groups and teams; individual and organizational learning; mobilizing human capacity by developing and delivering programs in leadership, human resource development, organizational development and effectiveness, change management, and facilitation and learning/trainer development; and developing skills in effective communication, dealing with difficult situations and conflict, building on differences, and becoming reflective practitioners. 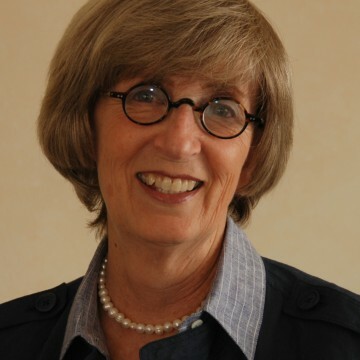 Prior to starting her own company, OWL Partner, in 2003, Nancy was a senior consultant with Interaction Associates from 1991-2003 and from 1990-1991 a consultant with ODI, Organizational Dynamics Inc., focused on quality process improvement. From 1989-1990 , Nancy was an internal consultant to the Academic Vice President of Tufts University for Tufts schools of undergraduate and graduate liberal arts and engineering. Nancy’s clients include a range of industries – airline, consulting, education, financial, government, healthcare, manufacturing, pharmaceutical, social service, and telecommunications. Some of her clients include: Bay State Health System, Cheyney University, Deaconess Foundation, Fidelity Investments, GE and GE Capital, GlaxoSmithKline, Global Impact, Interaction Institute for Social Change, Milton Hershey School, Pennsylvania State System of Higher Education, St. Francis House Homeless Shelter, Tufts University, US Department of Education, US Department of Energy, US Environmental Protection Agency. If all of [our] communities participate in this workshop, not only will the skill set of all of us be enhanced, but communities will have people in them who can facilitate in an open, non-threatening and inclusive way – something we all strive for but isn’t always easy!